As of the Fall of 2017, the Theater Arts program has moved to its new home in W97. 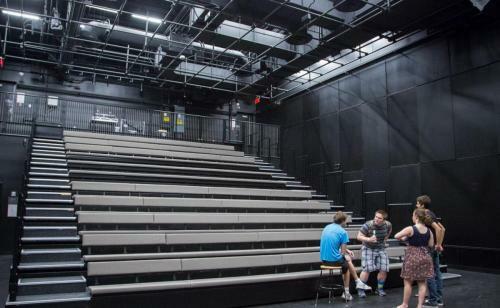 This newly completed space brings the energy and spirit of the Program in Theater Arts to the western edge of campus. It includes a mix of classrooms, studios and fabrication spaces with a performance space as the heart of the building. It expresses our belief in the idea of the continuous studio – a studio that includes theory, experimentation, innovation and practice. If you have questions regarding the use of the spaces within W97, please contact mta-w97@mit.edu. Tours of the building may be available upon request. 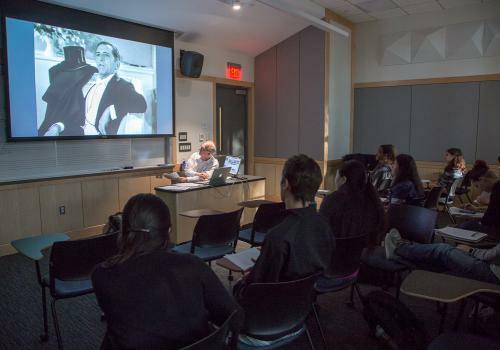 Music and Theater Arts (MTA) manages and grants access to five Registrar classrooms located on the first and third floors of Building 4. Emerson Piano scholarship students and ONE student in each Chamber Music Society (CMS) groups are granted access to these rooms for practice. All classrooms have pianos. For access, contact: mta-request@mit.edu or visit the MTA HQ office at 4-246. There is no access to classrooms during the summer. Access is granted to ASA groups from 9pm to 12am Monday through Friday and from 7am to 12am on Saturday and Sunday. The reservation system for ASA students does not open until two weeks into the semester to ensure class reservations, CMS, and Emerson times are reserved. Users must have an approved reservation requested via mta-reserve@mit.edu. Users must restore the initial furniture set-up when leaving the room. A photo of each setup is found in the classroom, next to the door. Failure to do this may result in immediate suspension of classroom use privileges! No Drinks or Food allowed in the classrooms. Classrooms are to remain locked and with windows shut. Do not prop the door open. Noise prohibitions: Amplified instruments and rock band rehearsals. Please do not move or unplug the pianos. Classroom reservations are not transferable—all users must initiate the classroom reservation online. A change in occupancy must be approved and noted by MTA Headquarters and the reservation officially transferred to a new user. If you need to cancel your reservation, please email mta-reserve@mit.edu promptly. Note: access to equipment in the MTA managed Registrar classrooms must be requested. Additional usage guidance will be provided when access to the equipment is given. Please contact mta-reserve@mit.edu for more details. There are 8 practice rooms located in Building 4 (4-260). These rooms are available for students participating in any of the MTA performance ensembles (including CMS and Emerson) and to community members. Each room has either an upright or baby grand piano. Access to the practice suites is by MIT ID card only. For access, contact: mta-request@mit.edu or visit the MTA HQ office at 4-246. Students in MTA classes or ensembles are granted full access 7 days a week 7 AM - 11PM. Community member access can be granted from 7 AM to 11 AM 7 days a week only. Some of the campus dormitories have small practice rooms. Two practice rooms are located on the 4th floor of the Stratton Student Center (W20) and are available to all MIT community members with an MIT ID card. For information regarding the Student Center practice rooms, contact the Campus Activities Complex W20-5th floor of the Student Center, 253-3913. 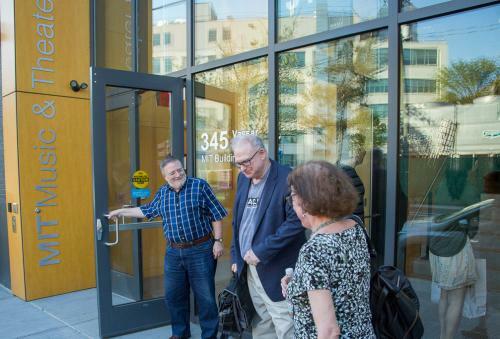 Access to Music Classrooms, Practice Rooms and Piano Lab is via MIT ID card only. 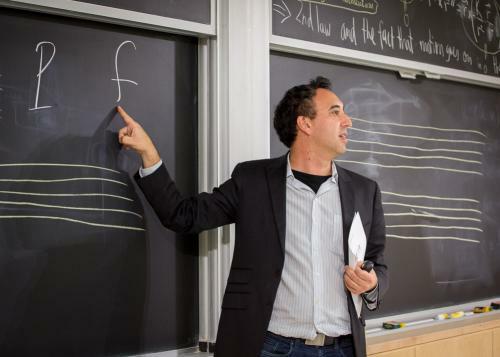 Access to groups in the MIT Chamber Music Society will be given to one designated member. Access to officially recognized ASA groups will be given only to the director of the group. The Piano Lab in building 24 (24-033a) contains a classroom space with six digital pianos. In addition, there is an office for the Lab Instructors as well as sound-proof practice room with a well-maintained acoustic piano. The Piano Lab supports the work of students enrolled in 21M.015, 21M.301 and 21M.302. In addition, students are welcome to use the Lab to practice at times when Labs are not in session. 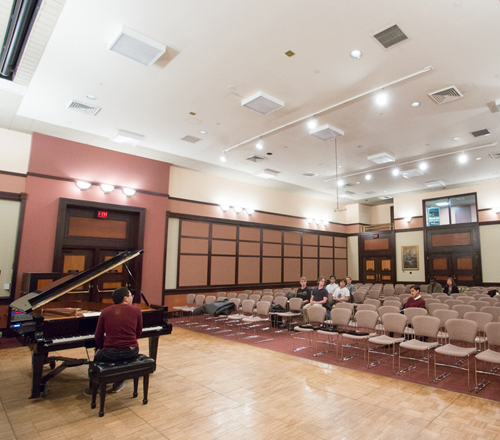 Killian Hall is a 140 seat performance space used primarily for solo and chamber music recitals, lectures, and theater readings. 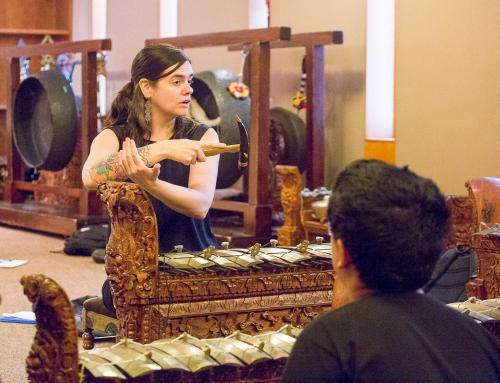 Faculty in Music and Theater Arts have first rights and full authority to reserve the space. Reservations from outside the program will be considered on a case-by-case basis. Use is subject to a rental fee. For more information or to submit a rental request, click on the "Submit Rental Request" button below. 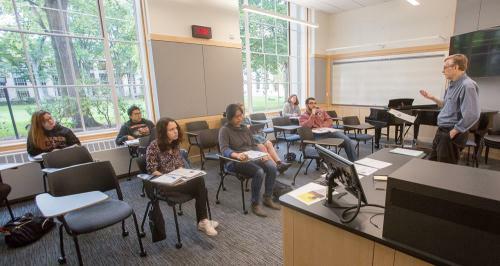 MTA academic classes and ensembles, curricular rehearsals and requests from MTA faculty and staff have priority to use the five MTA managed Registrar classrooms in building 4. ASA recognized music groups can access from 9pm-12am on Monday through Friday and 7 AM through 12 AM on Saturday and Sunday. To requests use of the classrooms, please email mta-reserve@mit.edu. Requests are processed daily during business hours - Monday through Friday, 9am-5pm. Weekend requests should be submitted no later than 1 PM on Friday to facilitate confirmation. Requests are processed on a first come, first serve basis. If a submitted event request has priority over a confirmed event with low priority, the confirmed event may potentially to lose the confirmed space. An alternate, space will be sought. There are no “guaranteed” reservations for events other than academic Music and Theater Arts events. MTA Headquarters reserves the right to adjust or deny room confirmations. 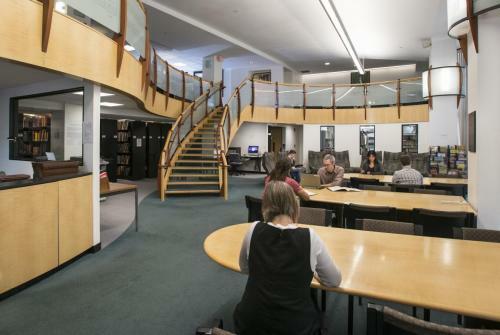 The Rosalind Denny Lewis Music Library serves the instructional, research, and recreational needs of the MIT community. The collection contains books, journals, scores, CDs, DVDs, streaming audio and video, e-scores/e-books, and music databases. The library collects classical, world, jazz, popular, electronic, folk, and film music, among others. There are listening/viewing areas, comfortable study spaces, equipment to digitize various audio formats, plus iMac stations with music software. The library circulates audio and video equipment, such as handheld audio/video recorders and microphones. The library space hosts many music lectures and recitals. A friendly and knowledgeable staff is ready to help you. The library was renovated in 1996. Watch the Lewis Music Library 20th anniversary video here.